I was sitting inside working on what was forecast to be one of the last warm, sunny days of the year, when I suddenly realised it. There wasn’t one thing I was doing that couldn’t wait until the cloudy days at the weekend! 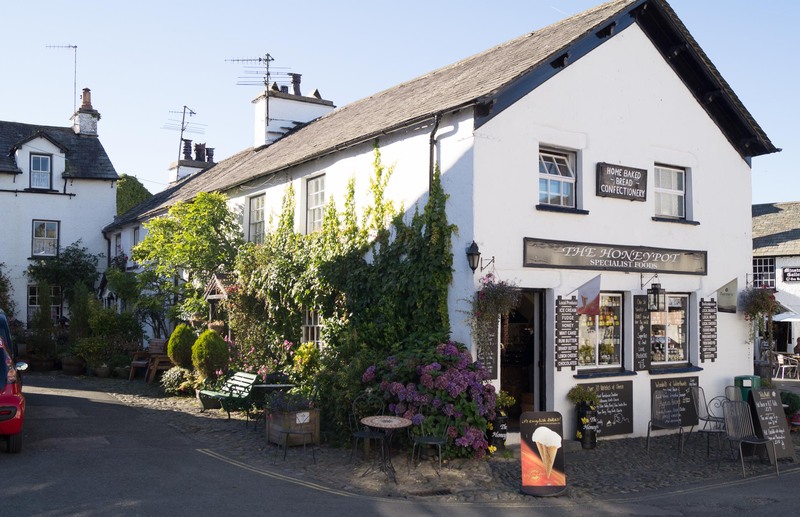 So although time was getting tight, I headed out for a short afternoon exploration of somewhere I haven’t been for some time – Hawkshead. 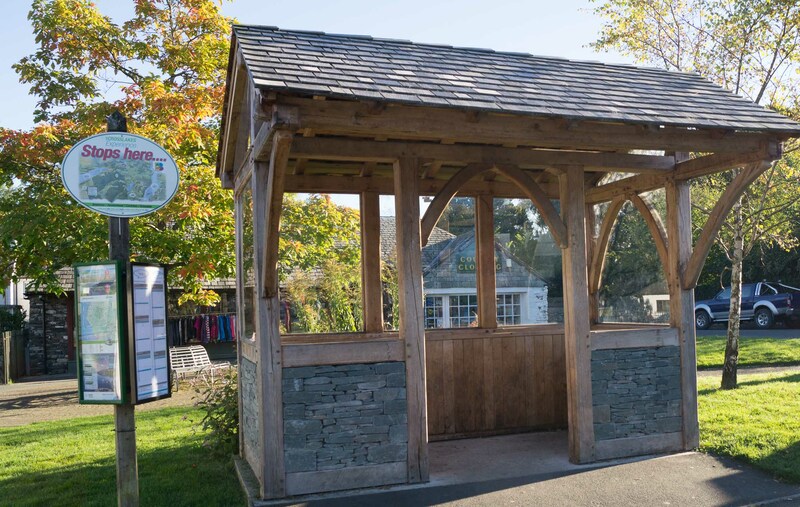 Hawkshead is a very popular small village on the western side of Windermere, but I know someone who can’t really understand this popularity. I get why they say that, because you can’t actually see anything of the Lake District’s scenery when you’re in the village itself. 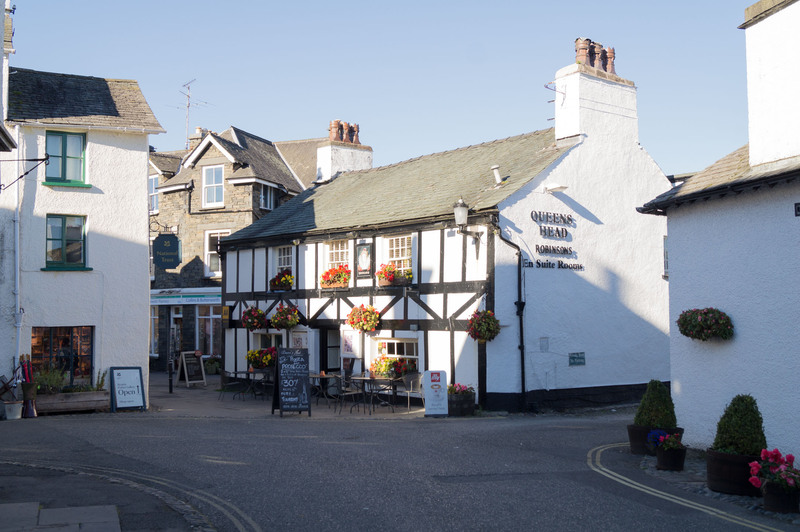 But having not visited for a few years now, I was really taken with its charming atmosphere, which I put down particularly to the quirky shaped historic buildings painted in pristine white, the colourful blooms hanging from pots and baskets everywhere, and the numerous outdoor areas for enjoying a lunch or afternoon tea. 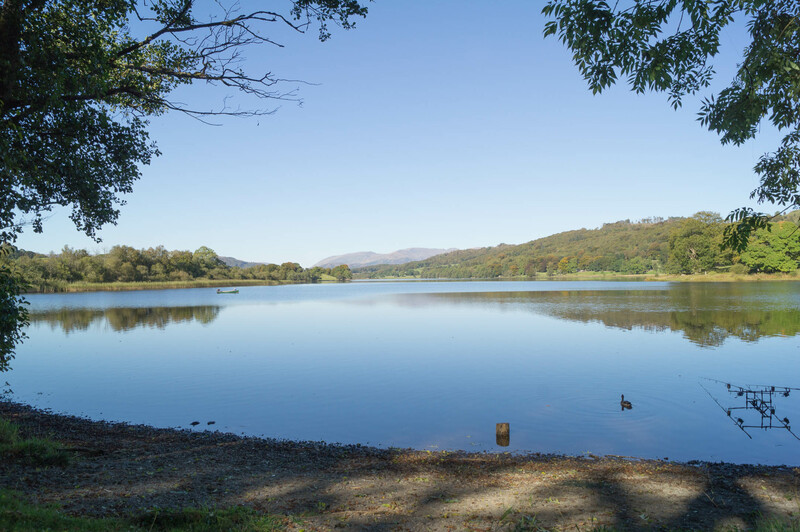 Whichever route you take to travel to Hawkshead, there’s plenty of scenery, and there are beautiful landscapes that could easily be missed – just look at this absolutely stunning view across Esthwaite Water, taken from the pay-and-display car park belonging to The Osprey Experience. I can’t describe how peaceful it was there, even though there were quite a few people around when I stopped off. 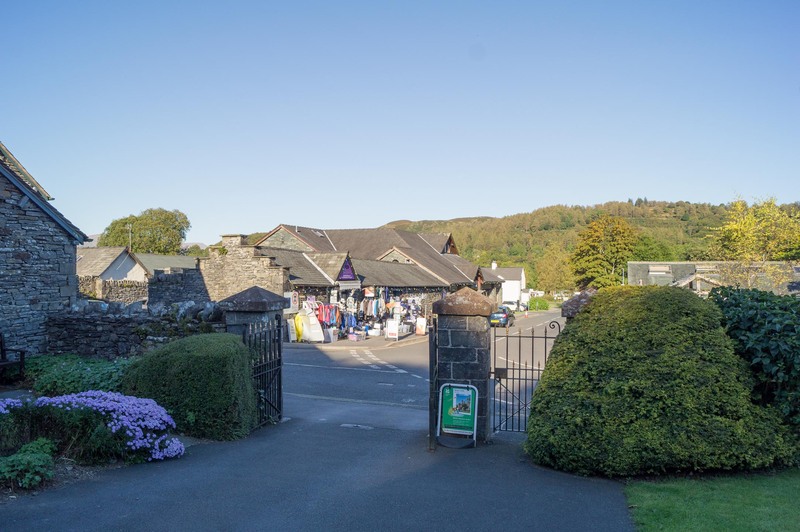 On arriving in Hawkshead I wandered round the shops for a bit – there are a number of outdoor, gift and food shops, and I discovered that the National Trust has a little second hand book shop next to the Beatrix Potter Gallery, a National Trust property in the village. 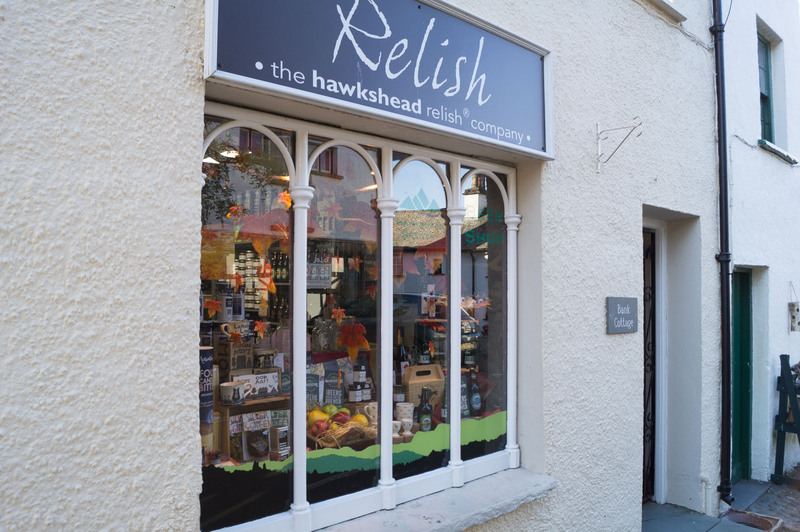 I also went home with a jar of quince jelly from the well-known Hawkshead Relish. Quince is a traditional fruit belonging to the same family as apples and pears, and the jelly is meant to go well with meats, poultry and salads – having tried several combinations now, I personally think it goes particularly well with pork. On my way back to the car park, I just missed the closing of Hawkshead Grammar School. I was always late for school, so nothing changes it seems! 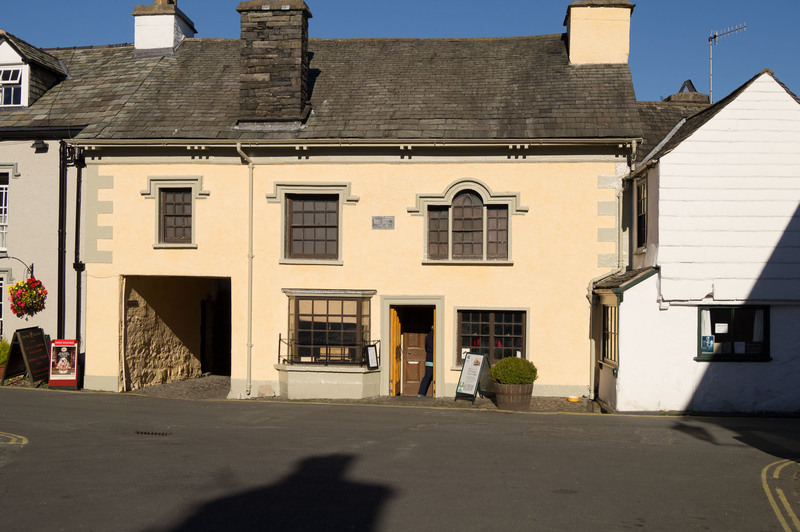 According to the sign outside, it was founded in 1585 and was attended by the famous Lakeland poet William Wordsworth. The school is open for an entry fee from April until October. 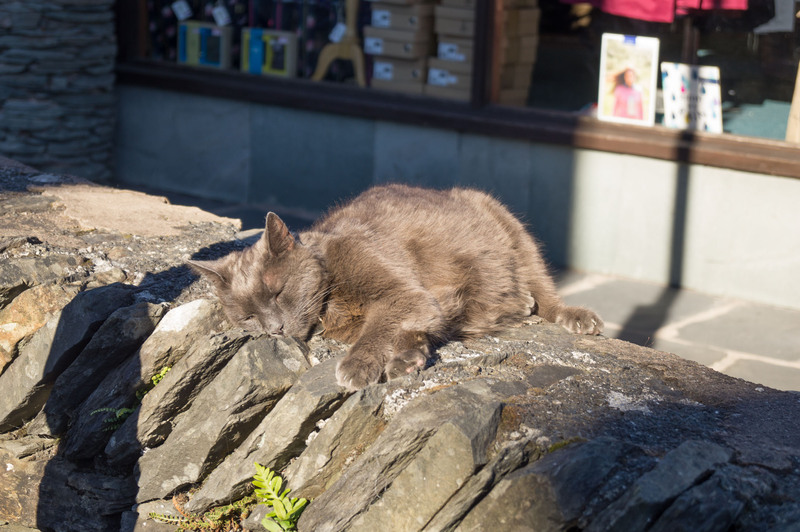 Maybe it was the late afternoon autumn sunshine that made it extra special, but I really did enjoy my couple of hours in Hawkshead. So if you’re looking for somewhere new to visit, I’d definitely add this one to your Lake District list of things to do. 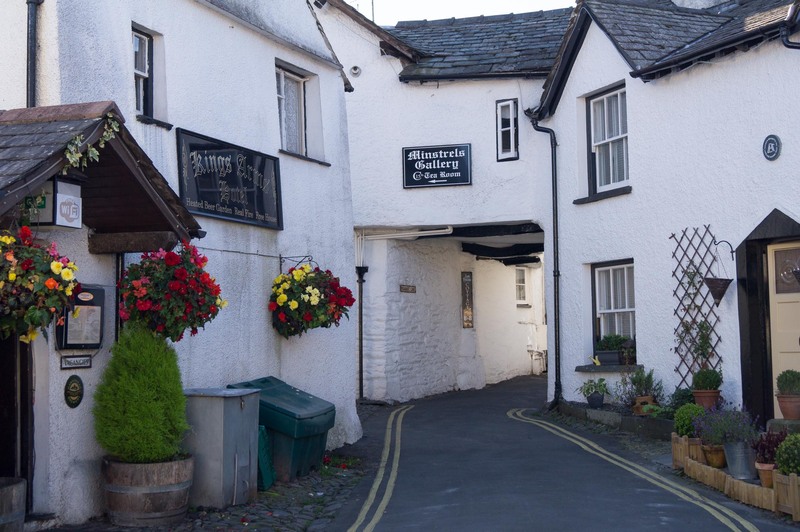 Which is your favourite Lake District village and why? Let us know your thoughts in the comments below. 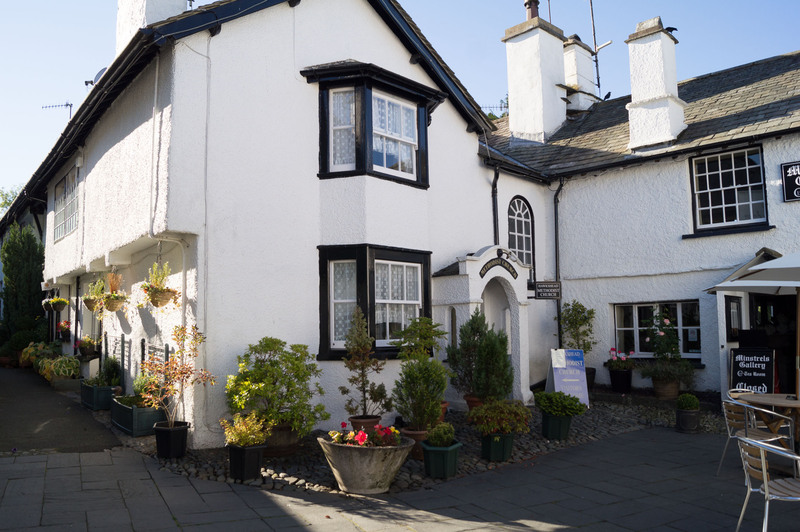 If you’re a National Trust member, a visit to the Hawkshead area is the perfect opportunity to combine trips to both the Beatrix Potter Gallery (Hawkshead) and Hill Top, which is situated in nearby Near Sawrey.